Credit Chris Arend as the photographer. Photo is owned by Ahtna, Incorporated. The Athabascan elder who was the lead plaintiff in a lawsuit that strengthened Native subsistence fishing rights in Alaska has died. Katie John passed away early Friday morning at the Alaska Native Medical Center in Anchorage. She was 97-years-old. The Athabascan elder who was the lead plaintiff in a lawsuit that strengthened Native subsistence fishing rights in Alaska has died. Katie John passed away early Friday morning at the Alaska Native Medical Center in Anchorage. She was 97 years old. John and the Mentasta Village Council sued the U.S. government in Federal Court in 1985 when the Alaska Board of Fisheries did not allow them to fish at an abandoned fish camp in an area which is now part of Wrangell-Saint Elias National Park. The suit claimed the federal government had unlawfully excluded subsistence fishing from the protections of the Alaska National Interest Lands Conservation Act. The judge ruled in John’s favor in 1994. The state of Alaska battled that ruling, but in early 2001, the 9th Circuit Court of Appeals upheld the ruling. 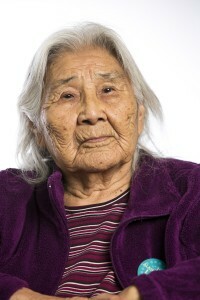 John received an honorary doctor of laws degree from the University of Alaska Fairbanks in 2011 for her advocacy of indigenous rights and her ongoing efforts as a teacher of culture and language. Dr. Jim Kari with the Alaska Native Language Center in Fairbanks, worked with Katie John on efforts to preserve Alaska Native languages by developing an alphabet of the Athna Athabascan dialect. John raised 14 children and six adopted children with her husband Mentasta Traditional Chief Fred John. Family members have not released plans for a funeral yet.